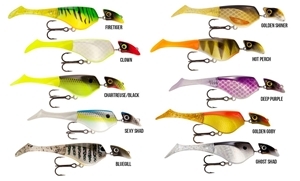 Headbanger lures move with creativity and variation never seen before. 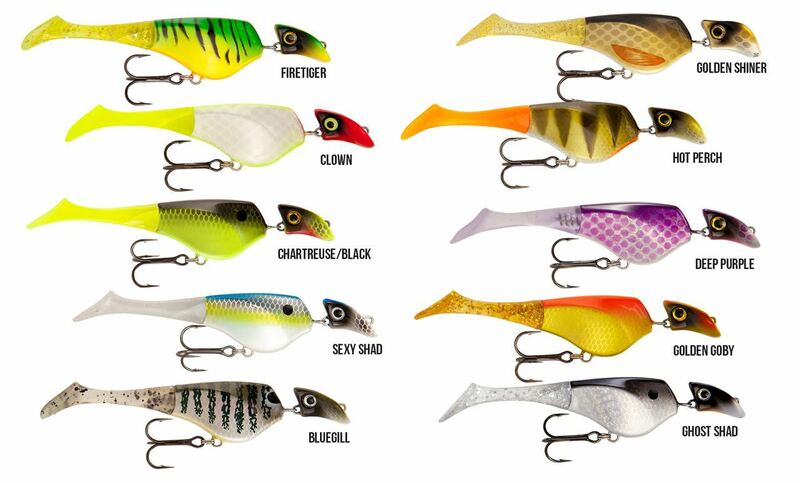 These lures add something truly unique to your tackle box. 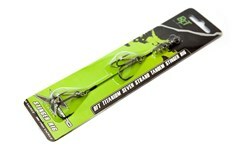 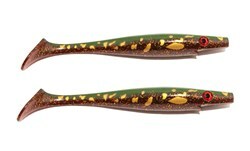 The Headbanger Shad 11 is the newest model. 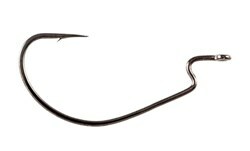 A simple straight retrieve of the Headbanger Shad 11 cm produces an action that mimics the erratic and evasive movement of a spooked smaller bait fish, and adding a pause or two makes it irresistible to any nearby predator. 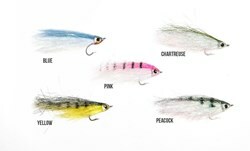 Available in three different buoyancies for different depths and styles of fishing, the 11 cm Shad is a must have for every angler fishing for bass, walleye, trout, pike and many other species. 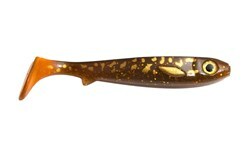 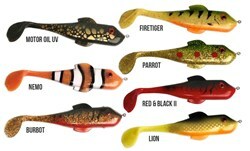 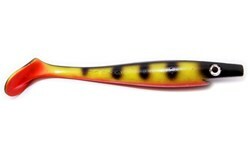 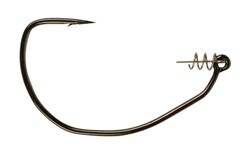 The lure has a wire-through-body construction and is equipped with rattle balls of different sizes for a fuller sound. 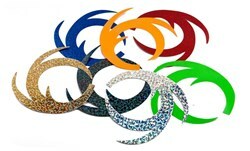 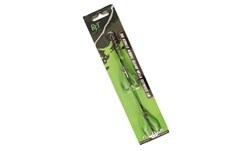 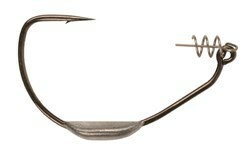 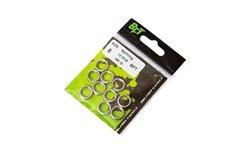  The lure is lead-free and the weights inside are made of stainless steel. 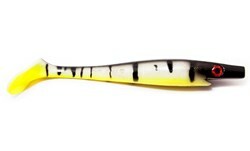 The Headbanger Shad 11 cm is equipped with a premium #4 VMC 9655 BN hook. 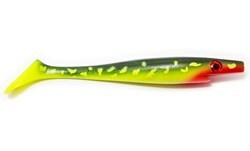 It is also an excellent trolling lure, with an unmatched action all the way from 1.4 to 4 mph. 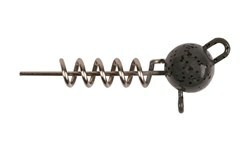 The tail is easily replaced by twisting it counterclockwise to release it from its corkscrew anchor. 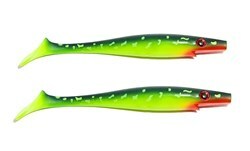 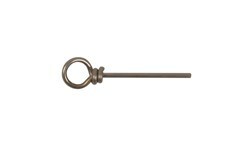 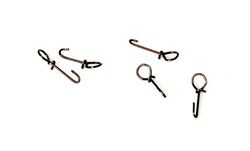 The lure has two smaller pegs that hold the tail in place and prevents it from twisting out of position when being used. 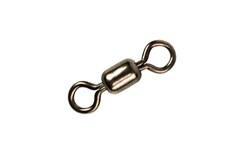 Floating: Weight is 10 gr, Depth is 0-1,5 meters. 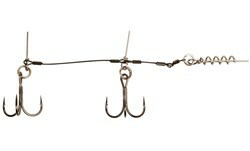 Suspending: Weight is 11 gr, Depth is 0,5-1,8 meters. 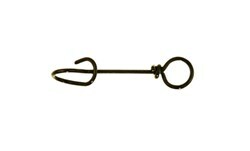 Sinking: Weight is 13 gr, Depth is 0,5-2,5 meters.